Consumer prices in emerging markets were boosted by an uptick in food prices across most developing economies in August. 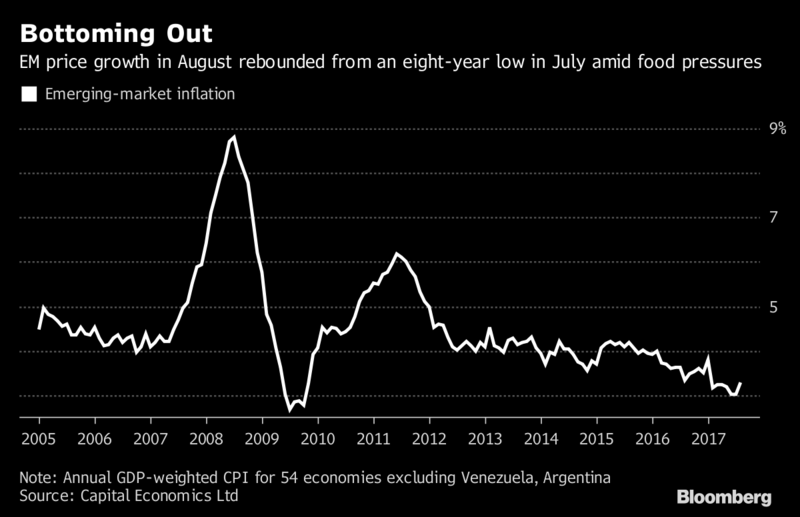 Consumer Price Index which measures inflation rate in emerging economies jumped from 3 percent in July to 3.3 percent in August. That was post-crisis low. In the past two decades, headline prices across emerging economies have fallen on lower energy prices and weak wage growth. But the surge in global energy prices has helped lift headline inflation, even though it appears temporary. Analysts at Capital Economics Ltd. Expect inflation rate to remain subdued in 2017 and 2018. “Inflation targeting, by definition, contributed to a decline in the level and volatility of inflation, as it has become the primary policy objective. Globalization of trade and increased labor mobility had a similar effect on both the level and volatility of inflation via increased product competition and lower labor costs,” Radoslaw Bodys, an emerging-market strategist said. Low price pressures suggest central banks in emerging-markets will cut interest to spur price growth and raise them later to offset U.S. tight monetary policy. The U.S. dollar rose to a month high against the Euro common currency to trade at $1.1766. 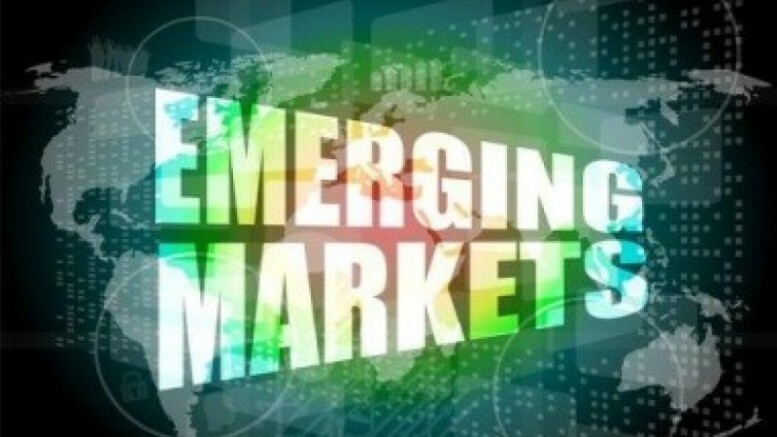 Be the first to comment on "Inflation Rebounds from 8-year Low in Emerging Economies"